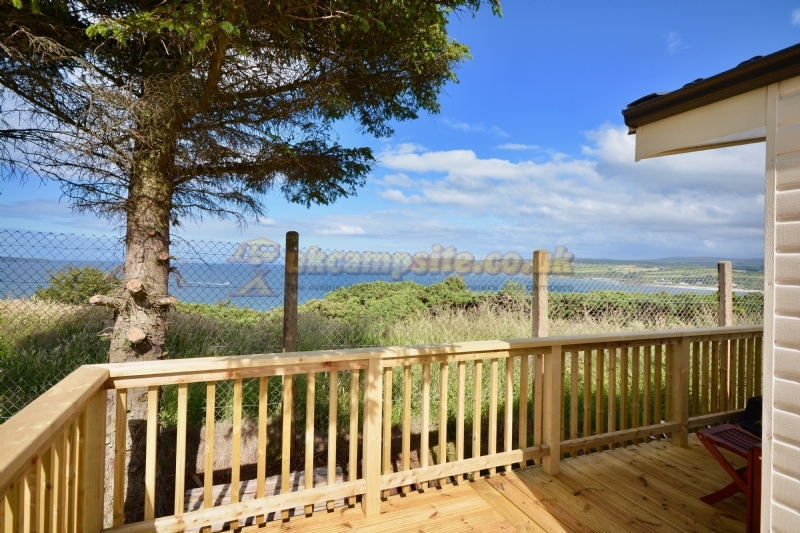 -Great location 10mins walk from Ballycastle harbour / seafront. -Pitch was clean and free from rubbish. 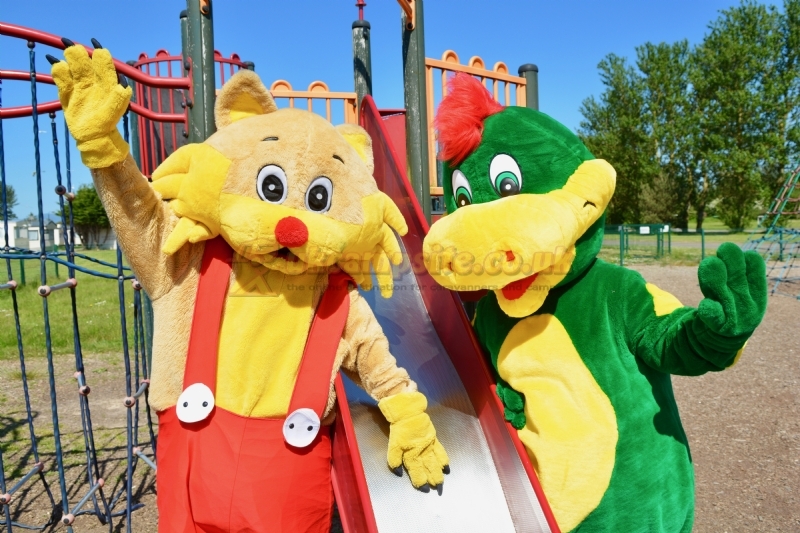 -Large play park for kids. -Able to pick my own pitch. 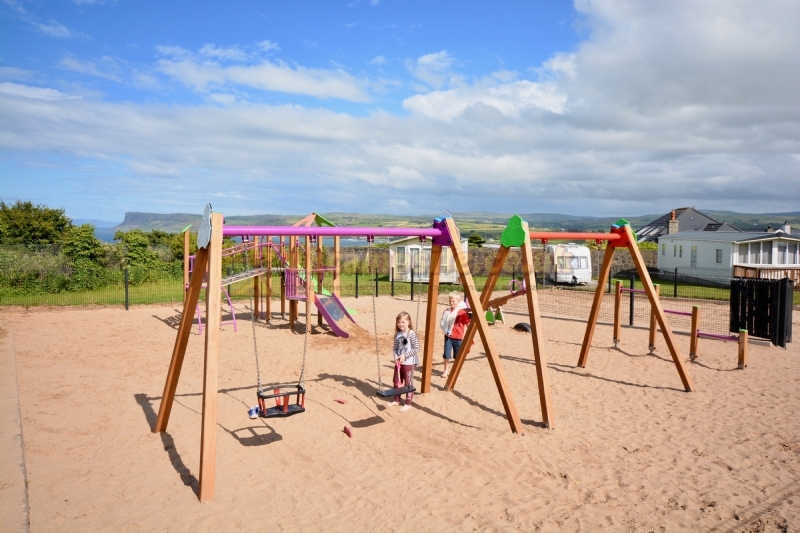 -Site was grass pitch and ground was very soft, site was also on a slope. -A lot of noise close to the park, although it stopped at quiet time. -No water supply at pitch. -A bit expensive compared to other sites which had concrete hard standing, water and drain for the same rate. Overall a good site and no reason not to stay again. We had hoped to stay near the giant's causeway, but this seemed to be the nearest site with space available. On the map it looked great, as the site backs on to the sea. However overall it was disappointing. There is no access to the shore from the site, which is entirely enclosed by a high fence. Touring pitches are all grass, which would not have been a wonderful idea as it had poured down for hours and there was standing water on the pitches. So we opted for one of the vacant static pitches. This had water, but the fitting was for a static and we could not attach our hose to it. Also the pitch had a marked slope, too much for our levelling blocks to eliminate. It was a long way from the toilet block, but as others have said, this was in a disgusting condition and we were unwilling to use it. The whole site had a run down look to it. In fact the only positive thing we can say about it is that there is a bar which serves food until about 8 pm. Easily the worst of the six sites we visited during our tour of Ireland. 2 adults with 3 children. We stayed in an apartment. Rooms. Great size with duvets and pillows bins and mirrors and great lighting and heaters. Could however be cleaner. Hairs in bed. Lights came on through the night on their own. Bathroom. 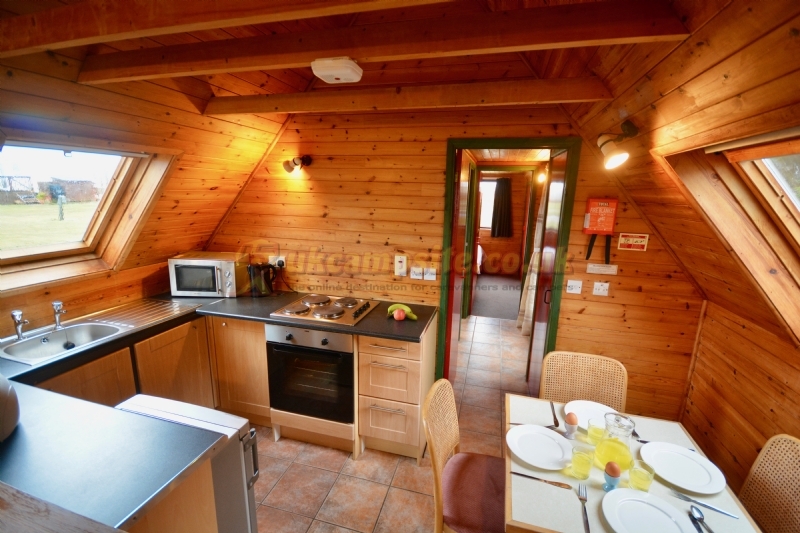 Good size with shower and heater however no soaps paper towels or toilet roll. Kitchen. Good size with fridge and micro however no handtowels soap tea towels or wash cloths/scourer. Living room. Great size with 2 sofa beds and dining table however could be cleaner. Hair, makeup brushes and hankies down arm of sofa and also some carpet staining however newly painted with new curtains. The tv however was too small and echoed in the room also place too high up the wall for comfortable viewing and only had 8 channels. The apartment doors also had a lot to answer for. The front door and bedroom doors where old style which to my knowledge are now prohibited under health and safety reg. Doors should be slow closing. The apartment doors banged hard behind catching fingers and heels which is not great for children and we encountered two injuries during the week. Overall the apartment wasn't great value. At almost £350 we could have went abroad!. The pool was open one out of our 5 days. The laundry room was a disaster. 2 machines and 2 tumblers on a 28 acre site accommodating 100s of guests was very inadequate and I found guests removing our paid wash mid cycle to use for themselves! Not a great site for children under 12 and I would recommend watertop farm site up the road. I would also suggest the swimming passes to be included in apartment bills as £12 per day for a cold pool which was meant to be heated is a bit of a cheek! This is a beautiful area with stunning scenery. We were very fortunate to stay whilst the Lammas fair was on as this was a good day out. The problem we had was the standard of service from the site itself. Really did spoil it for us when we entered our stunning large caravan to find it unclean with huge stains all over the bedroom and living area carpets. It is a shame that this could have been resolved with a good scrubb!. We asked for a brush and were told they would send a cleaner and I told the manager we only want a brush to sweep the floor after meals etc and to keep the caravan generally clean and tidy. He still refused to give us one and insisted a cleaner would come round at 4.30. We are still waiting!. Also we phoned before we left for the holiday and asked if we needed to bring towels/tea towels and were told no they will all be provided. They were not!. The swimming pool was only open now and then and there was no shop or laundry available during the week of our stay. Very inconvenient. The staff seemed unhappy to be working there. Also it did seem that most people who were there had booked up to stay just over the Lammas fair as once this had gone the site soon became deserted. 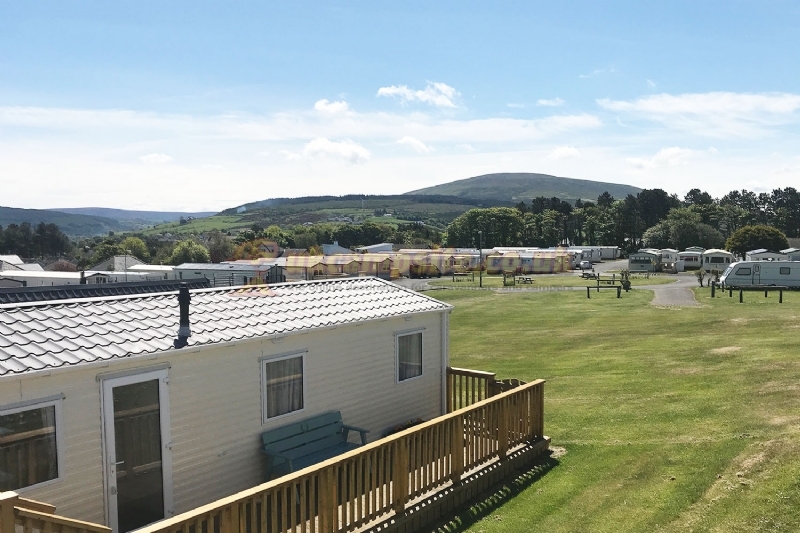 All in all a fabulous area to visit but we would definitely recommend you chose a different site to stay. 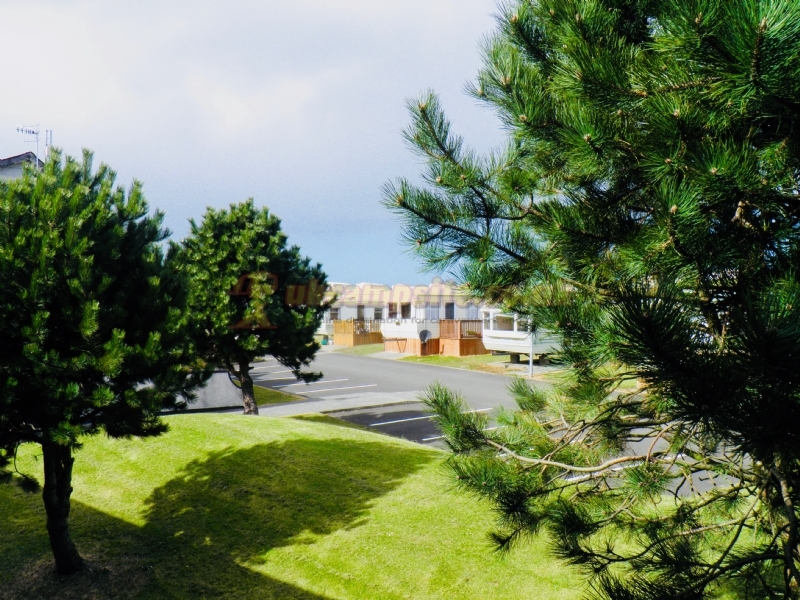 We stayed here during the great summer weather, enjoyed the fantastic views and the most beautiful beach. The park itself was definitely the low point of our visit, though. The toilet/shower facilities are inadequate for a site of this size, there is insufficient water pressure to run the amount of showers. The park seems to host many full time residents and their children, who run unchecked well past sunset. I stayed in the non-electric pitches for tents over the weekend. This particular pitch was a long way from the toilet and shower block. The ladies and gents toilets and showers were, in very bad repair and not cleaned regularly. Black Mould in the showers - and I really can't describe the horrors that myself or my partner saw in the toilets! The showers took 5 mins to warm up, and on the Friday night there was no toilet paper. The dish washing facilities are in the ladies toilets, which means you can't really share the cleaning duties! As the block was so far away from our pitch - we actually drove down to the block when we had to do dishes - it was too far to carry a stack of pots and pans and associated plates, glasses and cups! Its basically in a bad state of repair. I won't be staying at this site again, until they improve their facilities! 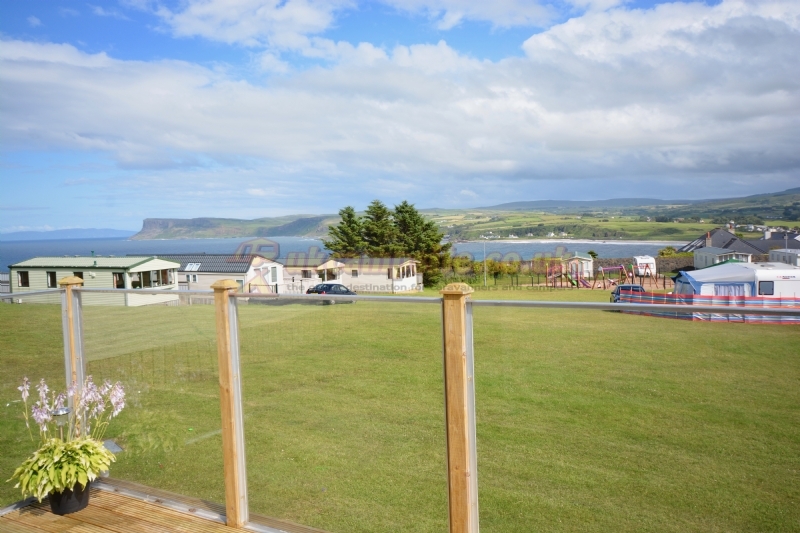 Causeway Coast Holiday Park or Silvercliffs as it is more commonly known is a good enough site to visit. Like a lot of mainly static parks the place has suffered in the current economic climate with plenty of empty hardstands around the place. This is to be expected! The toilet and shower block was clean and tidy with plenty of hot water for the free showers. The park itself is well maintained with friendly staff. 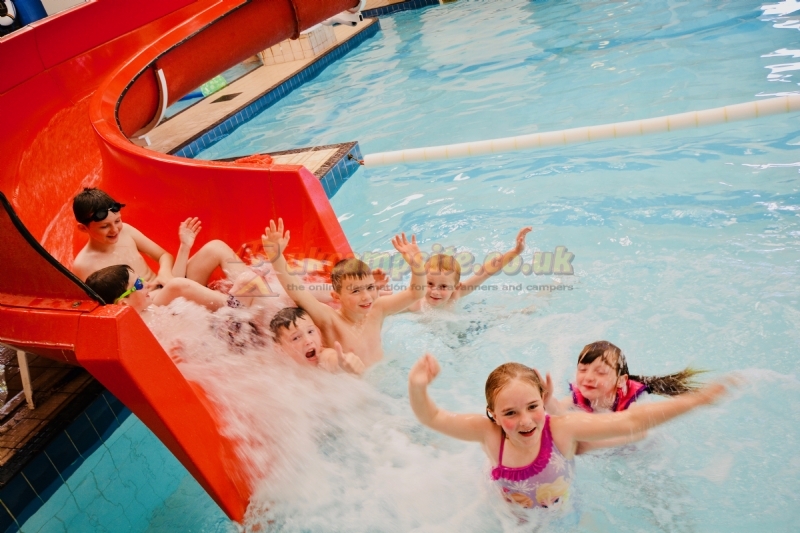 With 4 young children the pool is great especially on rainy days. Pitch sizes were on the small side if you were putting up an awning but plenty of choice to suit your needs. Town center was a 10 minute walk away and the views are fantastic. If the site owners were to invest some money into making it into more of a tourer/motorhome park and move away from the statics I feel that the place could develop into a fantastic park. 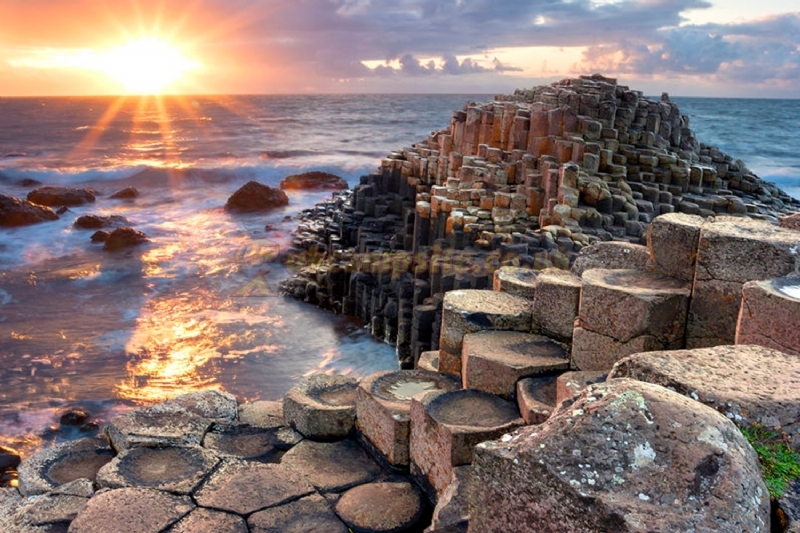 Beautiful part of the north coast and we will return again soon. This was an unplanned visit after let-down at a nearby site. Touring pitches rather cleverly arranged on roundabouts, with central hook-ups. Wonderful views. Despite other comments, kids were obviously enjoying the play area. 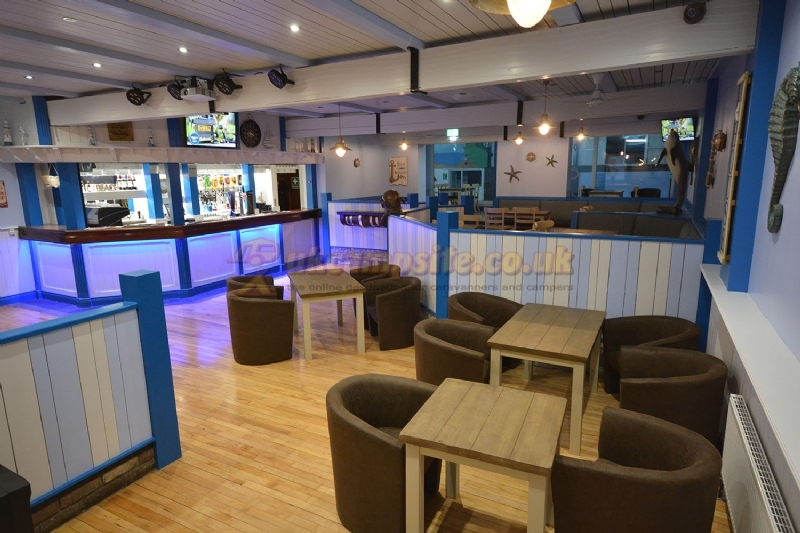 Ballycastle certainly has a nice Cellar-bar restaurant on the Diamond, does a good early bird offer (5-7) excellent food and service. There is an lovely play-area/park on the sea-front. Very disappointed we could not fit in the Rathlin Ferry trip, as no easy parking for MotorHome after leaving Silvercliffs. Ballycastle is certainly to be recommended for its multiple Public Toilets ! Toilet/Shower Block on site adequate, but part of a larger, semi-derelict, building. Ladies loos were in very poor condition. 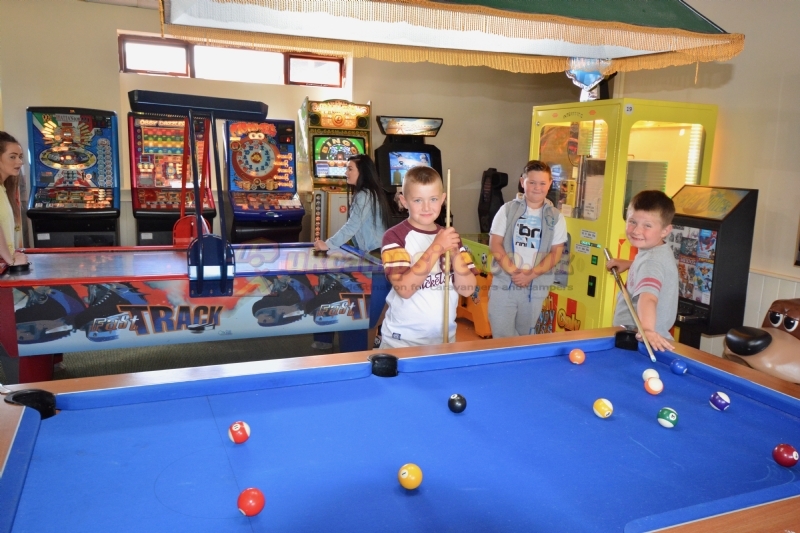 Minor drawback was the signage from town centre, which changes from proper Caravan/Camping sign to just a Fun-pool sign. Reception staff seemed to think it was obvious, but it certainly isn't. 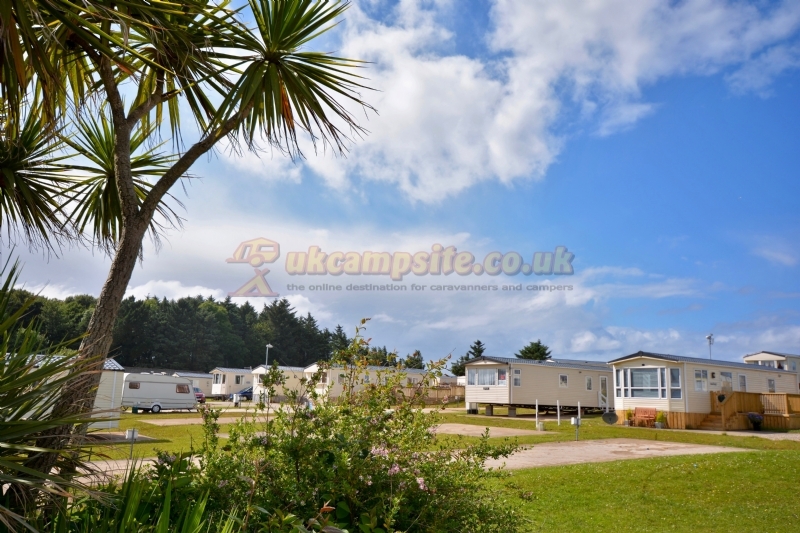 Large site made up mostly with static caravans and many empty concrete pitches. Mixture of grass and concrete pitches with electric hook up. Staff were friendly and quickly sorted my pre-booking of tent with electric hook up. For some reason I was not allocated a numbered pitched but was directed to a grass verge and instructed to hook up to the nearest point. Nice views but very exposed site no trees or shrubbery. The site is clean with plenty of waste bin areas, dogs very welcome (there were quite a few) and dog waste bins provided in the waste bin areas. There is a pool and pub on site but I had 2 dogs with me so didn't get to see the inside of either. The holiday park shop was closed, it looked derelict. The one toilet/shower block was a long way from my pitch: a 5 min brisk walk away (as the crow flies, otherwise around 10 min). The block was old, half was derelict very basic run down facilities, slightly grubby definitely needed repairs and a face lift. Shower was hot, that’s all I can say about it. The only dish washing facilities I could find, consisted of 2 sinks with drainers in the female toilets. How males dish wash is a mystery. I ended up washing dishes in the tent in any case as it was impossible to walk to the block with dishes and washing equipment. On the whole the 3 night stay was ok, great location with beaches and forests nearby – great for dogs. But the location could not make up for the complete inadequacy of the toilet/shower block. As a result I will not recommend anyone pitch a tent here and I will not return – in short the long walk to the toilets, lack of dish washing facilities (and water) and the old, grubby showers were such a let down. 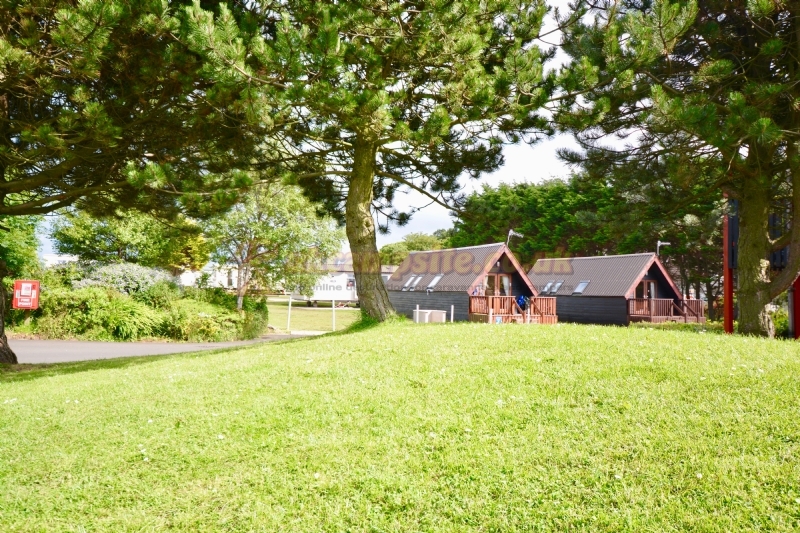 The campsite prices are on a par, if not more expensive than many camping & caravanning club sites who pride their facilities – in short Silver Cliffs is very poor value for money. 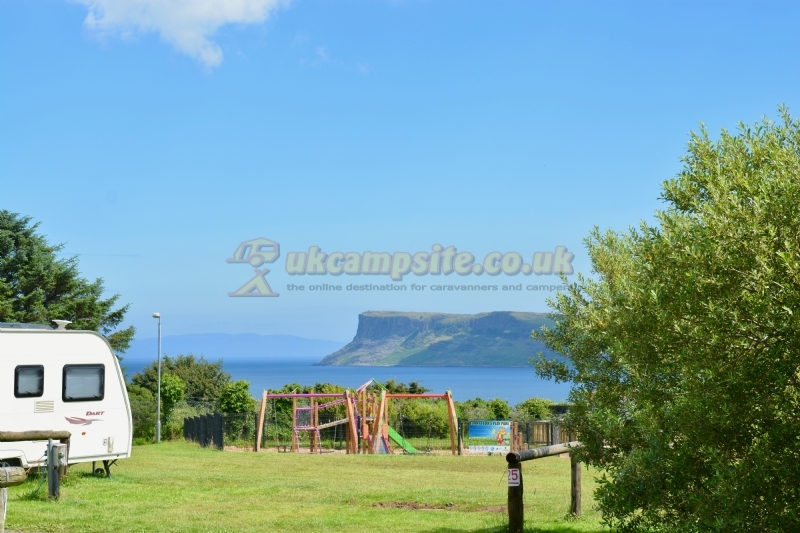 There are many much better campsites in Northern Ireland. We booked this in advance via their website, all went smoothly. We arrived at reception and the staff were very helpful giving us an information pack and our pitch allocation. The pitch was squeezed into a corner making it almost impossible to get our caravan into place and only for the fact that the pitch opposite was vacant we would have had to request a new pitch. The electric hook-ups were to the front of the pitches and there was one outlet pillar with 4 outlets for electric, but this meant that the electric hook up lead would have run past the front of other caravans and would have been driven over by cars. A family from another pitch also decided to play football in the 2 vacant pitches beside us with their ball hitting the van on several occasions. The toilet blocks were ok, but that is as much as I can say about them. The playpark is also run down with broken swings and rockers. We didn't try the pool, so can't comment. The whole site is run down. The waste rubbish area was exactly that with more rubbish on the ground than in the bins. Overall I would find it very hard to recommend and I certainly would not come here again. In short - there are much better parks close by.